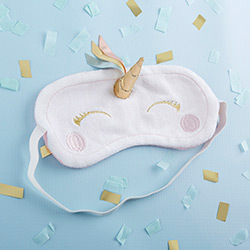 Perfect for a simply enchanted sleep time, Kate Aspen's Unicorn Sleep Mask features everything your little girl needs to have a magical rest. 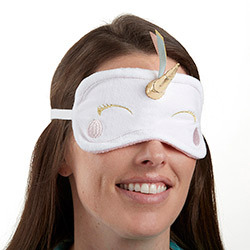 This elegant girl’s sleep mask has colorful, magical unicorn detailing. 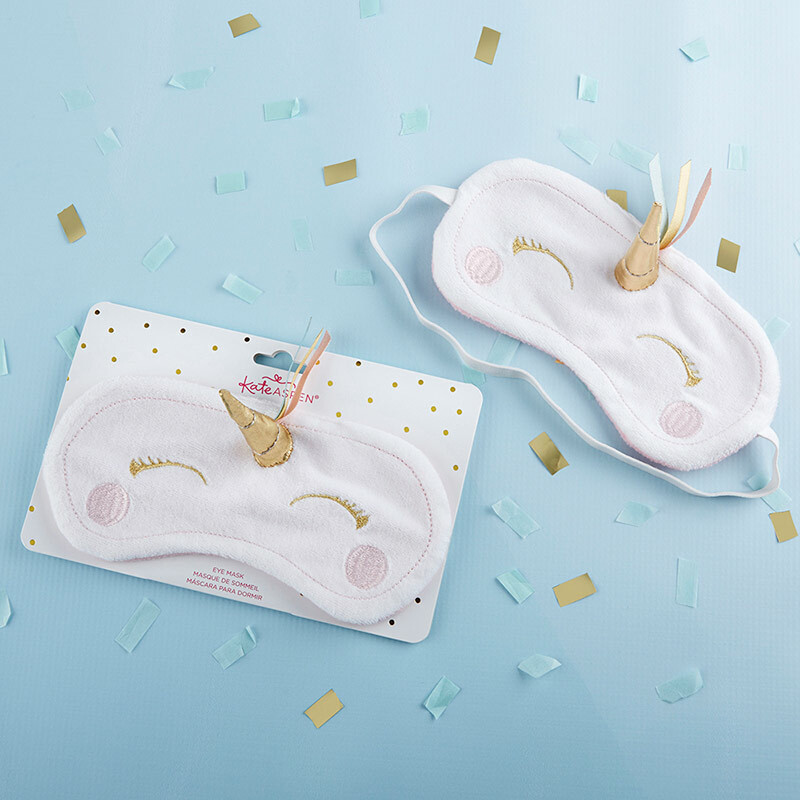 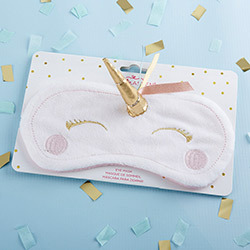 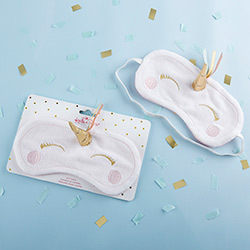 White velour eye mask has gold embroidered eyes, pink embroidered cheeks and a gold lame horn with pink, gold and blue ribbon details; sleeping eye mask has a light pink fleece backing and a white elastic band. 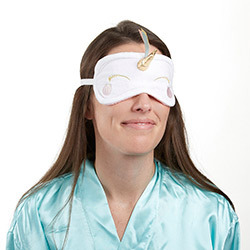 Eye mask is hand wash only. 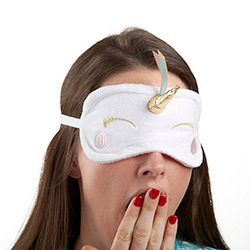 Sleep mask measures 7.85" w x 3.7" h x 0.25" d (2.75" d including horn); Packaged product measures 7.85" w x 5" h x 2.75" d.